I'm experiencing the same issue. Same device as well; HTC U11 Leedroid ROM 8.0. Both OpenSL ES and Hi-Res output do not register bluetooth devices. 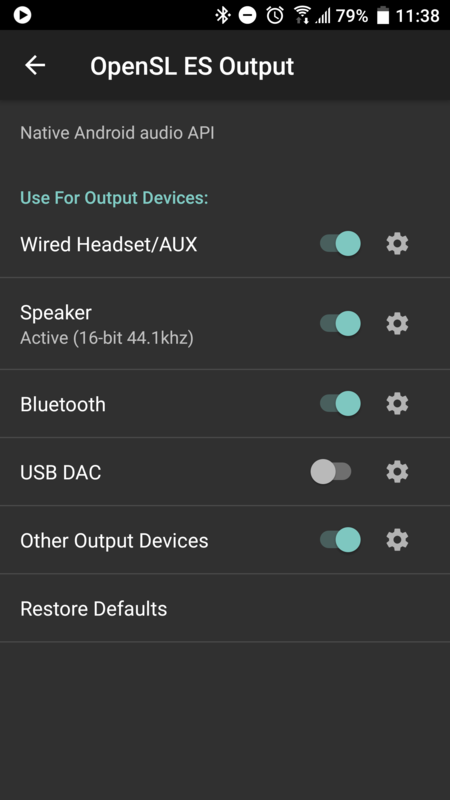 Toggling the options for bluetooth have no effect at all and are routed through the Speaker (16bit 48khz) output. 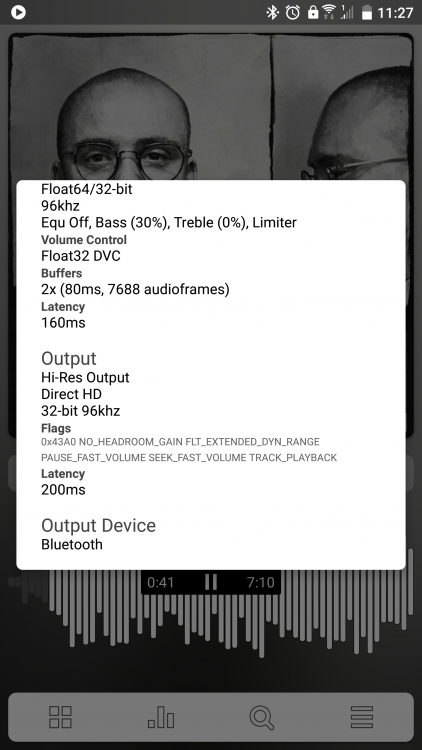 Tested with UE speakers and ldac enabled sony headphones. Good to hear I'm not alone on this. Same here. Moto Z2 Force. Nothing has changed for me with v796. I've just noticed that I output 16 bit 44.1khz via Bluetooth (detected as a speaker), it used to be 48khz before. Yep, sadly no changes for me either. Hello, thanks for the reports, this is improved for 798. We are still on 797...Max knows the problem , so we have to wait for 798 and hope that this is solved. Too bad this isn't fixed yet. I can't use the app because of this bug. No need to whine. The app is more than useable even with the "bug". The issue has been acknowledged and should be addressed in version 798. All is remedied, thank you! Thanks Max, it's working now ! Thanks for your prompt work Max and for your patience in the forum Andre.